​ZenQuest will be holding it’s annual Open House on Saturday, April 27th. The event will feature free trial classes, tours, games for kids, giveaways and FREE self-defense clinics. You can also pick up some goodies from the Bill Wright Scholarship Fund, talk to them about applying for low-income assistance. A FREE Children’s Self-defense Clinic will be offered from 2:00 to 3:00 PM. This will include a discussion on bullying and learning de-escalation and strategies for defending common attacks and holds. We will also touch on school safety, an increasingly real concern for kids and parents. Immediately following our Children’s Self-defense Clinic will be a FREE Adult’s Self-defense workshop from 3:00 to 4:30 PM open to men and women. This will also include a discussion on self-defense, and strategies for defending or escaping common attacks and holds that people would likely face in self-defense. The Open house will be from 9 AM to 5 PM. To register for the free clinics or schedule a visit, please call 413-637-0656 or email us at train@zenquestmac.com. See you there! ​Probably the greatest benefit of practicing a martial art is an improved state of mind. Through consistent training we can learn to improve our concentration, focus, and awareness. In order for any of THAT to happen, we also need to learn ‘Fudoshin.’ This is an important principle that applies to every martial art at ZenQuest, and is taught in each class. Fudoshin is a Japanese word that translates to “immovable mind.” The best way to understand what that means is to think of it as a mind that cannot be distracted or moved from it’s momentary focus. It is a state of emotional stability, calmness and peace...even under great pressure. During the feudal period in Japan the warriors of the day, known as the Samurai, learned that having a strong and unyielding mind was crucial to their success in battle. Those who could stay focused and calm in battle succeeded, and those who buckled under pressure perished. Although most of us will never have to defend ourselves in a life and death confrontation, we can apply the principles that worked for the Samurai in our training, rank promotions, demonstrations or competition. Being more calm, focused and stable can be learned in training. Essentially, when you step onto the mats you want to adopt a calm and positive attitude. Whatever exercises or drills you do, you deliberately practice being calm and focused. Even under the pressure of sparring or rolling, you do your best to stay totally calm and focused. Over time, this becomes your normal mode of operation. Eventually, you can bring this to all other aspects of your life! Admittedly, this is easier said than done, and there are many ways that it can be sabotaged or even completely prevented. Some students can train for years without ever learning to really immerse themselves into their training and learn these valuable principles. Some students (especially children) can be so overwhelmed by the commitment, effort and social aspects of the martial arts that they never actually get started, in spite of wanting to do just that. Anxiety - Uncontrolled anxiety can shut down the ability to settle into a healthy mentality in training. This can be social anxiety, fear of failure, stress and anxiety about life, or even an anxiety disorder. Students who struggle with anxiety should make calmness and Fudoshin training a high priority in their practice. Although it may be especially challenging at first, these students stand to benefit the most from this aspect of martial arts training. Distractibility - Students who are easily distracted will also have difficulty getting started with any of the mental aspects of training. Some students will be distracted in drilling techniques and strategies and only try to focus during sparring or rolling. But calmness and focus should be practiced consistently throughout all different aspects of training. Signs of distractibility can include constantly talking or joking, thinking about things other than the exercises being taught, letting emotions interfere with class, or taking too many water or bathroom breaks. Distractible students need to identify these patterns and eliminate them as soon as possible so that they can begin to make progress with their mental training. Negativity - Students who are negative about training, fellow students, or instructors will also struggle with learning to be calm...or anything else. Trying to teach someone with this mentality can be like trying to program a computer with a broken keyboard. Their attitude will prevent the information from ever reaching them. Negativity towards other students or instructors will create unhealthy dynamics in the gym. Training with others in the martial arts requires trust and confidence in others. We all learn from one another in a constructive and positive environment. Negative students will not only ruin their own training, but can be toxic and corrupt others. Of course, every student is given the opportunity to learn and progress, but students who demonstrate a pattern of negativity will ultimately be asked to leave the gym. Anger - Many people go through much of their lives angry. They take things that other people do or say too personally, and let their tempers boil over too quickly. Going through life angry or getting mad too easily will erode your quality of life, destroy personal relationships, and pose serious health risks over time. Being angry in a martial arts gym will certainly get in the way of progress and cause problems with fellow students and instructors. 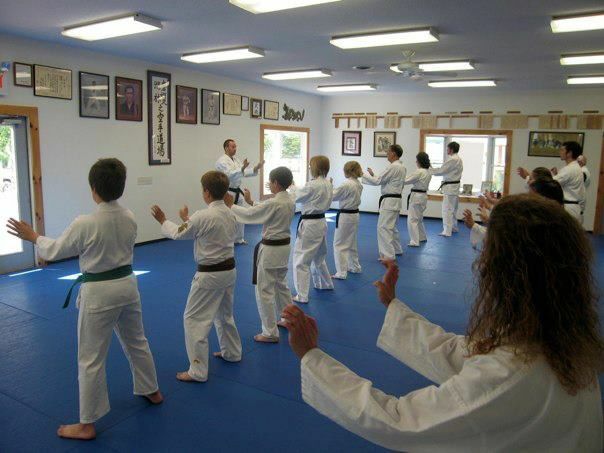 Students with uncontrollable anger will also eventually be asked to leave the dojo. Ego - Students who think themselves better or smarter than everyone else in the dojo will likely never begin to learn the most important aspects of training. Sometimes these people will get good at pretending to minimize their own ego and even talk about that, but in the end it is only a misperceived accomplishment in their minds. Some instructors will actually teach a false “confidence” to their students, having them create a fake image of themselves to present to the world. This is especially bad if the student already struggled with an overblown ego and arrogance. But, this false confidence can easily fall apart under pressure. Real confidence is being calm and relaxed in any situation. This can only be gained by perseverance through challenging situations, real achievements, and methodically practicing the mental aspects of training. Instability - Emotional instability is the opposite of Fudoshin. Students who suffer from this have a tendency to overdramatize things that happen in their life. This can be something they were born with, or a part of their personal culture. These students will be among those who stand to gain the most from real learning stability and calmness, but will also be most challenged to do that. These people need to do their best to practice the principles of Fudoshin in training, and eventually extend that to all aspects of their lives. It may seem strange that activities that were born in war and self-defense are actually amazing for teaching calmness and stability, but the principle of Fudoshin can be trusted to work for you. So, every program at ZenQuest includes this training. This includes a calm approach to exercises, mindfulness in technical drills, coordinated and methodical breathing, and meditation practice. Although all of our classes including Jiu-jitsu, Muay Thai and even MMA training include these super important elements...our Okinawan Karate program has the most systematic and focused approach to this. Almost every Uechi-Ryu class includes mental exercises for this purpose, which can make an excellent compliment to any other art! Mastering ’calmness’ can have incredible benefits in our daily lives like reducing our stress levels, making us more stable and focused, and helping us to think more clearly. This usually takes time, but with some guidance, it WILL happen! So, keep calm and TRAIN! See you on the mats. The martial arts have existed since mankind first became advanced enough to copy or learn from one another. Successful hunting and fighting strategies were passed from person to person, and from one generation to the next. As civilization progressed and more advanced fighting techniques and strategies were developed, teaching and training methods also became more advanced. Ancient training methods and battle strategies can be seen in records from different cultures around the world including the Egyptians, Greeks, Japanese, Romans, and Persians. In times when the most advanced weaponry were bladed tools like swords and spears, effective training became crucial to success in battle. Basically, the best trained and armed troops tended to succeed and the ability to communicate strategies became more and more important. Over time, successful battle strategies were passed on. This included large scale strategies for the battlefield and strategies for the individual warrior. With the development of firearms and other modern weapons, battle strategies evolved with less emphasis on ‘hand-to-hand’ combat. In the present day, millions of people around the world practice martial arts that are largely based on ancient combat strategies. The process of teaching these strategies still happens by experienced individuals sharing their knowledge with others. In the age of technology, there are all sorts of resources available to help people learn, but there is still no substitute for a qualified instructor using proven teaching methods to educate students who genuinely want to learn. For that to work, the teacher needs to be skilled the areas of knowledge, organization, communication and tolerance. On the other hand students need to posses a minimum level of work-ethics, patience, perseverance, and what is known as ’Coachability.’ This is the ability to hear and follow the instructions that the instructor or coach provides. This sounds like something that would be easy but, too often, this basic mechanism for learning can be complicated and dysfunctional. Some students may have real physiological issues that make it difficult to hear an instructor or process what they’re saying. Disabilities like Attention Deficit Disorder, Hyperactivity, Autism, PTSD or emotional issues can make it challenging for students to hear or understand the information that is being given to them. These kind of challenges can usually be overcome using intelligent teaching strategies and the basic structure set up in the ‘Dojo.’ Students with more severe disabilities are often better off in a more private, one-on-one learning situation. Aside from real disabilities, one issue that can complicate coachability is a student’s fear of failure...or success. Sometimes students are so preoccupied with the possibility of failure that they cannot even begin an exercise. But students need to understand that in the martial arts we learn by doing. The basic process consists of a teacher demonstrating and explaining a move or exercise and the student doing their best to duplicate it. Failing at first is actually a natural part of the learning process. Since students generally do not know new techniques or moves they need to do their best to duplicate the movement until they have it, often not having it exactly right at first. Sometimes it takes some time to work it out. A saying in the martial arts is “You win or you learn.” Some students may actually have a fear of success. They may not want the attention or responsibility of doing well. In either case consistency, encouragement and support from everyone in their inner circle is important for helping them adjust and succeed. Another aspect that can hurt coachability is ‘dysfunctional independence.’ This is when a student has a fundamental lack of respect and trust for structure or authority. Although basic freedoms and independence are great, the structure and hierarchy common to martial arts gyms are in place for important reasons. These include safety, cleanliness, good interpersonal relations, and optimizing learning. Parental support is crucial in helping younger students adjust to a Dojo environment and thrive in their martial arts journey. Sometimes students will start out following the dojo structure and etiquette, and thriving as an ’A’ student in their chosen art. Over time, as they accumulate experience and status in their art, their attitude may begin to change. At some point they may start to think that their knowledge and experience is beyond that of the instructors who helped them achieve their success. They may feel that the research they do outside of the gym overshadows what actually happens on the training floor. They may begin to value the relationships with friends or other instructors that they’ve met through their main instructors more than their main instructors. Although it is normal for students to accumulate knowledge and gain status in their art it is important to stay humble, keep perspective on their journey, and remain supportive of the people who guided them along the way. Even students progressing to a level of notoriety or furthering their chosen art should continue to give credit and respect to the people who got them started. They should bear in mind that other students will follow their example and it is inappropriate to become ‘toxic’ and corrupt their instructors’ training environment. So, stay positive, listen carefully to instructors and do your best to follow directions. Following this simple formula will insure constant progress in your martial art, and eventually carry over into all other areas of your life! Happy New Year! A new year brings ideas of resolutions and fresh starts for most of us. We set goals, we commit to dieting, we hit the gym, and we cut bad things out of our lives. Our lives will be forever better starting on January 1st. Too often, these can all be too short lived. By the time March rolls around, self improvement strategies just become sad jokes. This can result in things being worse than they were before the new year. The things that were supposed to improve are the same or worse, AND we have the guilt and anxiety of failure. With seasonal depression hanging over us during the winter months, the last thing we need is the negativity of resolutions gone bad. Realizing this pattern can go a long way towards avoiding all of this and staying committed to our resolutions. One tip for increasing the chances of success is to make your goals realistic and achievable. Setting the bar at a place that we can get to or exceed without too much trouble is much more likely to result in actual improvement in ourselves. Plus, having the satisfaction and confidence of succeeding will increase our overall happiness. Consistency is key in making any self improvement steps work. Rather than commit to a ‘crash’ diet, or completely giving up chocolate, exercise portion control. Make gradual adjustments to the parts of ourselves we want to change rather than making drastic changes. We need to look at these as long term revisions in our lifestyle and commit to changing our ‘day to day’ routines. We also need to realize that having lapses in progress is pretty normal. Any adjustments we make probably won’t be totally ‘linear’ and have some ups and downs. Some days we’ll do better, and some days not so much. The important thing is to stay on track and shoot for slow steady progress. Rather than a ‘binary’ thing, we should look at our resolutions as reductions in poor habits and boosting good ones. Another trick in this is to allow yourself a cheat-day. As long as the adjustment you’re making is for something relatively harmless it’s OK to give yourself a day of the week when you can compromise a little. Remember that bad habits that are unhealthy, such as smoking, vaping, alcohol, or recreational drugs should be treated with more commitment and intensity. Of course, a new commitment to an exercise routine is one of the best things you can do for your fitness, health and well being. Mindful exercise not only makes us more fit and helps regulate body weight, it helps us feel good about ourselves. It changes our brain chemistry to actually be happier and improves our ability to think clearly. Lastly, regular exercise helps us sleep better allowing us to be more rested during our awake times, and our bodies to repair and minimize injuries and illnesses. December saw our latest round of Advanced Concepts clinics for Karate, Muay Thai and Jiu-jitsu. These are held every three to four months at ZenQuest to provide more advanced students with techniques and strategies of each respective art. It also provides opportunities to address issues that advanced students and assistant instructors face. On Saturday, December 8th students ranked Brown Belt and above attended AC Uechi. After discussing teaching and training issues the group worked on ‘Hojo Undo’ exercises and advanced Kata or forms. Next, the group learned some new self-defense drills developed by Master Shinmatsu Okuhama that focus on severe responses to common attacks. The clinic ended with some discussion about Team ZenQuest’s recent Okinawa trip and adjustments to training. On Saturday, December 15th students ranked Blue Prajiet (arm band) and above attended AC Muay Thai. After some discussion on teaching and advanced training the group focused on freestyle pad-work. This is where one partner or instructor wears ’Thai Pads’ and a body shield to enable the other partner to throw strikes in a manner that is very close to sparring or fighting. The group started out with drills that isolated kicking, then added punches, then elbows and knees, working up to combining all strikes together. At the conclusion of the workshop promotions were awarded to three students. Chris Bradley earned 4-stripe Blue Prajiet, Chris Kupernik earned Purple Prajiet, and Neil Von Flatern earned 1-stripe Brown Prajiet. On Saturday, December 22nd students ranked Blue Belt and above attended AC Jiu-jitsu. This time the group was given strategies using the ‘Z-Guard’ or ‘Knee Shield’. This is trapping an opponent between your knees on your side from bottom position. Techniques included ways to improve position, sweep and submissions using Z-Guard. At the conclusion of the workshop promotions were awarded to three students. Congratulations to Tilo "Tilosh" Jackson for earning his Blue Belt, and to Chis "Koop" Kupernik and Mike "Panda" Jezak for earning their 3-Stripe Blue Belt! Thanks to everyone who showed up for Advanced Concepts so close to the holidays and congratulations to everyone who earned promotions. The next round of Advanced Concepts clinics will be sometime in the spring. After an incredible week of training and cultural immersion in Thailand, we made the jump over to Okinawa. When compared to the marathon flights from New York to Thailand this trip on Tuesday, November 6th, was just a short hop. As we stepped out of the airport in the southern city of Naha, we were met by our good friend and instructor Hirokuni Yamashiro. After helping us grab our rental car, Sensei Yamashiro brought us to one of his favorite places for lunch, and then led us to the apartment he was providing us in Okinawa city. With most of our ’jet lag’ already passed in Thailand, we settled into our accommodations, threw our Gis on and went down the two flights of stairs to Yamashiro’s Dojo to train. It was an amazing moment to be back running through drills in that space after six years away for myself, and eleven years for Sensei Connie. The next day started out with two hours of training with Sensei Yamashiro. Yamashiro was one of the top students of Sensei Shigeru Takamiyagi, our head instructor until his passing in 2012. The day ended with two more hours of training with Master Tsutomo Nakahodo. He is considered the highest authority in the world still actively teaching Uechi-Ryu, and is known as the ‘Encyclopedia’ of the art. In between the trainings we scrambled to run errands and swung back to the airport to grab three of our students. This was the first pilgrimage to Okinawa for Matt Moreau, Beth Yanuskiewicz, and Michelle Moreau. We brought them to their hotel (also in Okinawa city) for their customary ‘recovery day’ since they had just made the trip from New York. With 20+ hours of travel and a 14 hour time difference, some time for rest and adjustment is usually needed. The next ten days were filled with a combination of intense workouts and amazing adventures. The training was typically four hours each day with many of the leading Masters in the world including: Senseis Yamashiro, Nakahodo, Toshio Higa, Takashi Arakaki, Keicho Tobaru, Shinmatsu Okuhama, and Masanori Yonamine. The bulk of our training took place at the Yamashiro Dojo, but we also visited dojos in the towns of Koza (Yonamine), Awase (Tobaru), Yomitan (Uechi), Okinawa City (Kenshukai) and, of course Chatan (Higa.) The latter was headed by Sensei Takamiyagi for many years and still considered our home dojo in Okinawa. The primary reason for this trip was to enable Sensei Connie to ‘level up.’ She was overdue for promotion to 7th degree black belt or Nanadan, which can only be done officially in Okinawa. The Okinawa Karatedo Association requires candidates for 6th degree or higher to do at least 30 hours of training and tune-up, over a minimum of two weeks to qualify for advancement. This is to insure that the candidate’s skills and understanding are at the level required, and also gives them a chance to immerse themselves into Okinawan history and culture. Not everyone who undergoes this process is successful, as was witnessed first hand during this trip. Sensei Connie actually trained for a total of 36 hours and DID pass her test with flying colors. She worked very hard and received praise from the instructors we worked with, many of whom were on the panel of judges at her test. Huge congratulations to Sensei Connie for rising to the occasion and rocking her test! In addition to the training, testing, and time with amazing friends our group did a fair amount of sightseeing, shopping and activities. This included visiting the Churaumi Aquarium, the Shuri Jo Castle, the Futenma Shrine, Hanbi Town, and the Okinawa Prefectural Museum. We also visited many restaurants and did way too much Karaoke in a place simply known as “Mama’s.” As usual, people who thought that they would struggle with that just went for it when the time came and completely enjoyed the experience. In fact, everyone from ZenQuest was unofficially promoted in this ancient art. Another goal during this visit was to train and spend time with our primary teacher, Sensei Toshio Higa. He is now the ranking instructor at the Chatan Dojo. We’ve developed a special bond with Sensei Higa over the last 20+ years, and he calls himself our “Okinawan Father.” In addition to being one of the top proteges of Grandmaster Kanei Uechi and an accomplished Master himself, he is a funny and fantastic person that is just a pleasure to be around. One big take-away from this trip is the importance of ‘getting it.’ When we have opportunities to learn from highly qualified instructors it’s important to make the best of it. I’ve seen so many people squander opportunities to make progress in their art by ignoring the people that are trying to help them. They go through the motions of attending the training and doing the exercises, but don’t really want anyone to highlight that they might not be doing things perfectly. Instead of learning, they’re want to be told that everything they’re doing is good or, at least acceptable. Then, they can return to their home Dojo a hero who was validated by notorious instructors. I’ve literally heard people say things like “Well, I’ve been doing this for X number of years and I’m not going to change it now!” But, once we adopt this kind of thinking, we stop learning. When we listen and work WITH the people that can help us improve, we progress and gain a broader understanding of our art. What’s more is, when those people see that we are really interested and working to ‘get it’ they will often spend more time with us and share much MORE of their knowledge. Ultimately, we all benefit when we keep an open mind and allow important information to be passed from one generation to the next. This way, we can make the most of our art together. Once again we would like to thank everyone for helping out in keeping ZenQuest moving forward while we were away. That includes all of the instructors covering classes, Dee Bradly for running the front desk, and Kyle Pezzano for making sure the place stayed clean. Thank you, thank you, THANK YOU everyone!!! We’d also like to thank all of our friends and instructors in Okinawa for providing another incredible experience, especially Senseis Higa, Nakahodo, Tobaru, Yamashiro, Arakaki, and Uechi. Special thanks to our students...Senseis Michelle, Beth and Matt for joining us on this trip and sharing in some amazing memories! We have two winners to announce in our latest round of ZenQuest’s ‘Referral Rewards’ program. They are the Cornellier and the Davis (Lucas) families! Each are receiving a $50 gift certificate towards training or gear at ZenQuest. This round was very successful with a total of 28 names of those who were encouraged to try our Introductory Special, and the students who referred them. The winners were randomly chosen from names placed into a coffee-can. This program is a great way to reward students in an organic ‘word of mouth’ referral process. We will begin our next immediately, so please continue to spread the word about ZenQuest and keep those referrals coming!